Some science fiction and fantasy worlds are so thoroughly built, that they even have complete fictional languages within them. A deliberately crafted fictional language is known as a constructed language – or a conlang. The absolute master of languages in fictional worlds is JRR Tolkien. In fact, Tolkien crafted the languages first, even figured out how they evolved over time in a fictional universe, and then created the story around the languages. The languages were central to the story, not just some background information for additional world building. In this article, we are focusing on the scripts that you can actually learn and write with. They can have a variety of uses, including secret notes, personalised tattoos, fancy bookplates and gift labels. The good thing about learning the scripts is that you do not have to sit and listen to the Dothraki learning DVDs by HBO. Now the thing about scripts is, that almost any alphabet can potentially be used to represent any other spoken language. For example, Kannada words can be written in Devanagari. Hindi words can be written in the Roman script. In the same way, you can write fictional languages in fictional scripts. 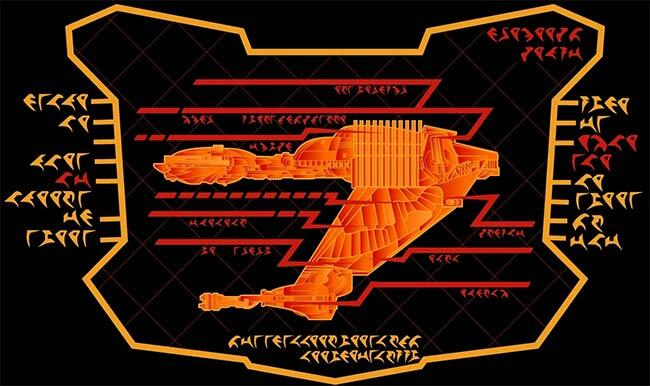 Klingon can be written in Aurebesh, or R’lyehian can be written in Wakandan. Some of the scripts are straight up substitution ciphers for English – every letter in the alphabet has a counterpart in the fictional script. Others though, are more complicated and have additional alphabets for sounds that are represented by a combination of letters in English, such as ch, th or oo. So, these scripts can be used to write in English, without having to learn the associated language. There are other attributes to the script as well. While most are written from left to right like English, others may be written vertically, or from right to left. Some esoteric versions have letters written in circles or along diagonal lines. While spacing is an essential aspect, many languages are devoid of a range of punctuation marks, and may not have capital letter variants. Another important thing to consider while choosing a language is how good your handwriting is. 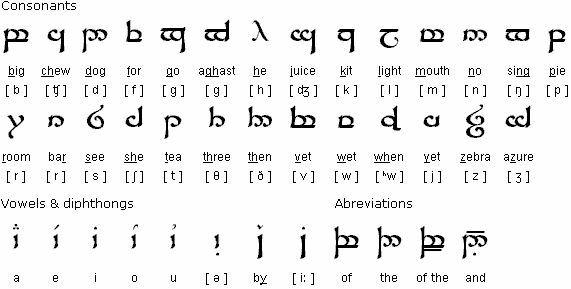 While even an orc can write using runes, you need to be comfortable with fountain pens to write in Tengwar or the Elvish script. We will be starting off with the easier ones, and moving on to more difficult ones. Jumping in the deep end of the pool is most rewarding! 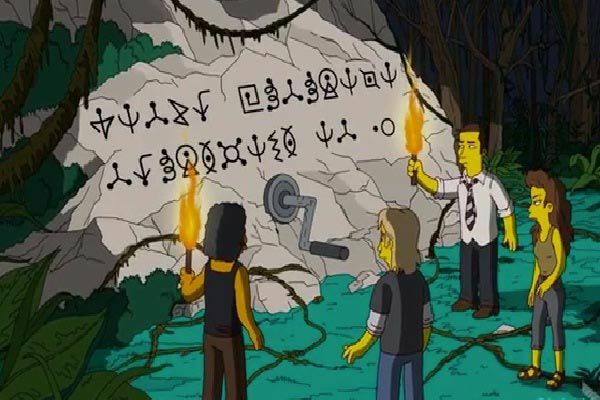 The Alien Alphabet used in Futurama is a straight up substitution cipher. This is the easiest to use for practical communication and letters, as it has a full set of numbers and all the necessary pronunciations. Since it is a simple substitution cipher, fans deciphered the alphabet within half an hour of the show coming out. 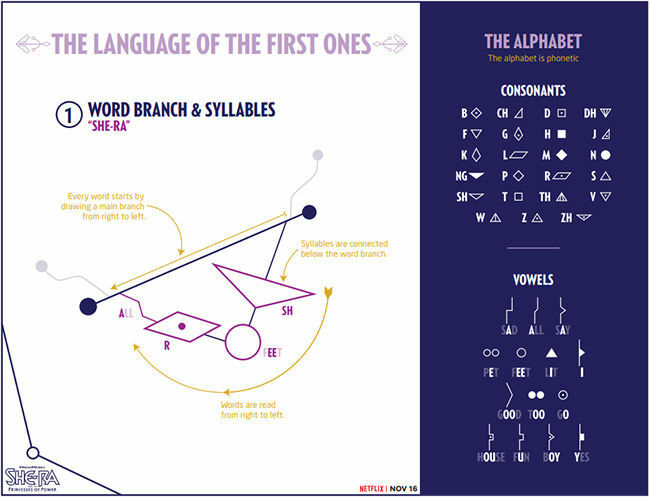 The creators decided to up the ante and released an Alien Alphabet 2, which is much more complicated and requires you to use complex rules of addition and subtraction depending on the position of a letter within a word. You can learn the language here. 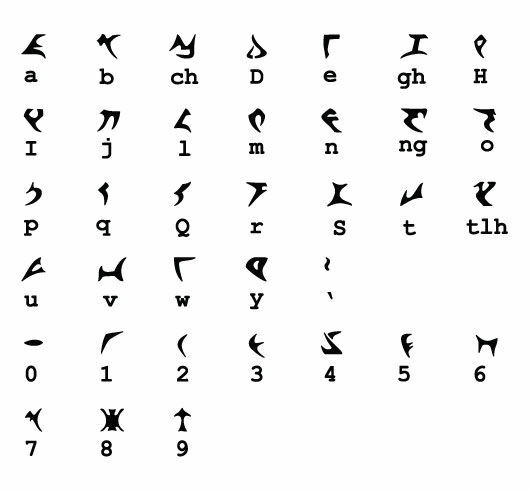 Gnomish from Artemis Fowl is an easy language to learn to read, as it is a simple substitution cipher. There are two extra alphabets, no numbers, no capitals, and only two pronunciation marks. A special rule is that the letter E is written below the word that it follows, which is a subtle shout out to the more advanced conlangs, such as the ones crafted by Tolkien. 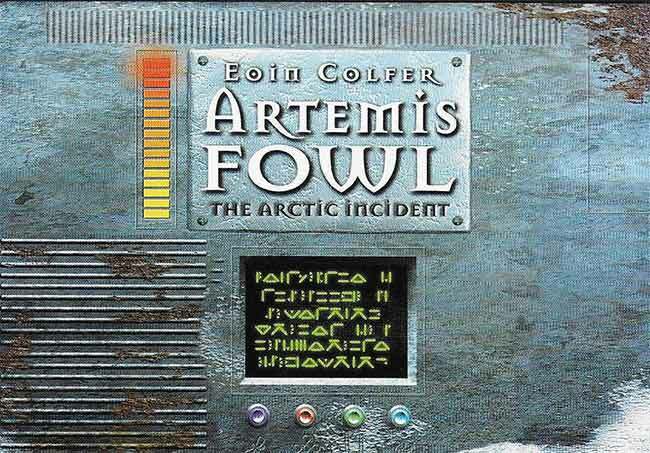 Learning this script will allow you to understand the hidden clues that run along the bottom of the Artemis Fowl books (it is not just gibberish), and communicate with fairies. Writing it is a bit of a pain, and it is time-consuming at that. The entire alphabet is shown below. You can use a translator. She-Ra, the long-lost twin sister of He-Man, is coming back in a reboot of the original 1985 show, She-Ra: Princess of Power. 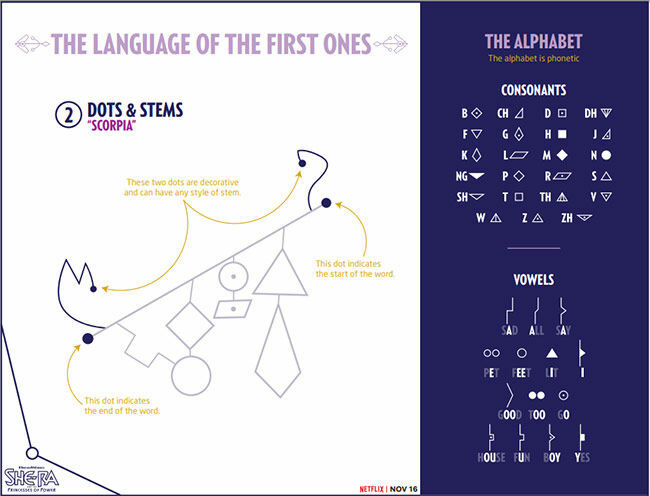 Dreamworks, the creators of the new show have constructed a beautiful writing system for the language of the First Ones. This system, while esoteric, is just one of the most fun ones to use. Sentences are written in descending staircases of words, written from the right to the left. You can add your own personalised squiggles to the top of the words, so there is plenty of room to explore your personal creativity in this writing system. It has a phonetic alphabet, so you will need to look up the sounds while writing anything. Check out how to do it here. She-Ra and the Princess of Power is coming soon on Netflix. 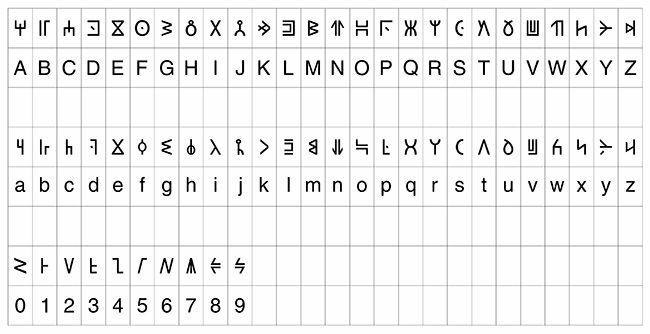 Wakandan is an uncomplicated script created specifically for Black Panther. There are no punctuations, but there are small and capital variations of the letters, as well as all the numbers. As such, this is one of the easier scripts to learn to write in, and useful as well. The entire script can be figured out by just watching the credit sequence. If you want to have some fun, try that as an exercise. The lettering style is a mixture of tribal and futuristic. Like many other languages on this list, there is a real-world alternative to Wakandan as well. The script is based on Nsibidi. You can understand more about the typography used in Black Panther over at Printmag. This is perhaps the most well known and intensely studied fictional languages. You can actually take a course in learning this language. In fact, the fans were more consistent with the language than the movies and shows themselves. In the Star Trek shows, the alphabets were just thrown in randomly, to form sentences, and if you try to decipher them, they do not make any sense at all. So how do the fans know what the letters mean? By laboriously sifting through the shows and mapping each character to the sound. The alphabet has a number of additional letters, and almost no punctuation marks. Each sentence is written from left to right, is centre aligned, and has its own line. So instead of a full stop, you just go to the next line. You can learn to use it from the Klingon Language Institute. Dovahzul is the script for a language introduced in The Elder Scrolls: Skyrim. 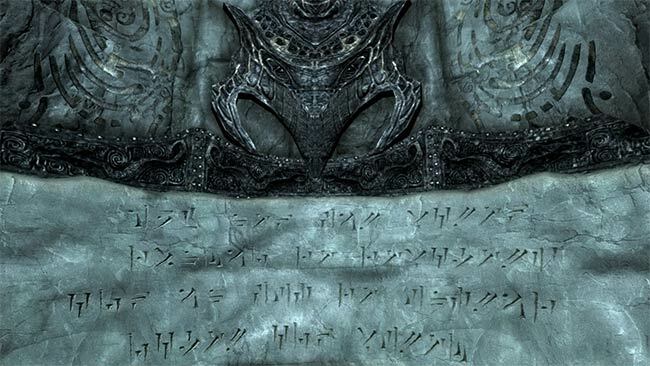 There is no official name for the language or the script, but the fans call it Dovahzul, which means “Dragon-Voice”. The script is also referred to as Dragon Runes. The sentences can either be written in the same way as the Roman script or can be centre aligned with a new line for each sentence. In the lore, the script is similar to the marks a dragon could make on stone walls. There is actually a real-world alternative to this language, which is ideal for writing on clay tablets. It is the Cuneiform script developed by the Sumerians and is one of the earliest writing systems ever developed. An ink pen is really the best thing to use when writing in Dovahzul. Learn writing and reading in Dovahzul here. In the Middle Earth Legendarium, instead of the language being a part of the lore, the language actually has its own lore and history. The Dwarvish runes are called Cirith with an expanded set of letters known as Angerthas and were initially intended to write in Sindarin, an Elvish language. Tolkien even developed a version of Cirth to be specifically used for writing in English. The runes are inspired from a real-world rune set, known as Elder Futhark. Now learning Elder Futhark first is highly recommended. You are bound to score high marks in at least one OWL subject. You will be able to read runes wherever they appear in the wild – such as magical amulets or Marvel movies showing Asgardian artefacts. Most importantly, you will be able to truly appreciate the skills of Tolkien. Consider Cirth to be an expanded and more complete version of Elder Futhark, as if the actual ancient runes we have are a reduced and corrupted version of the rune set. The expanded character set includes some letters that are not available in English, but both Elder Futhark or Cirth are not that difficult to learn. As it is not a straight-up substitution cipher, reading the text is difficult without knowing what version of the rune set it is, and having a key. WikiHow has a comprehensive guide to reading and writing Cirth, along with an explanation of its evolution over time. There is also a course for Cirth on Memrise. Tengwar is perhaps one of the most beautiful constructed scripts and has been adapted for writing in various languages, including Arabic, English, Icelandic, and even High Valyrian from A Song of Ice and Fire. The script is written in various modes depending on the language used. For example, there is a difference between how the same Tengwar is used to write Quenya and Sindarin, two elvish languages. In Quenya, the vowels are indicated by diacritics, special glyphs marked above the preceding consonant. In Sindarin, the diacritics (which are called Tehtar in Quenya) appear on top of the consonant following the vowels. In the English mode, the Tehtar appear on the consonant after the vowel, unless it is the last letter of the word, in which case they are marked above a stroke that is a special character known as the vowel carrier. The vowel carrier cannot appear in isolation. Oh, and you need to be proficient in using a broad nib fountain pen to start writing in Tengwar. If you are interested in learning Tengwar, head over to Omniglot. There is also a detailed guide on WikiHow. 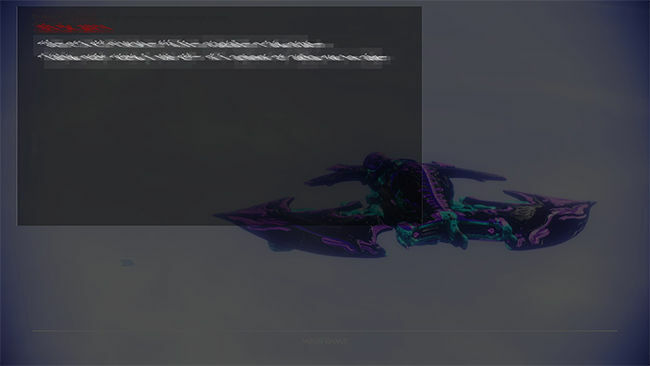 Tennobet is another elegant script and is from Warframe. Tennobet is clearly inspired by Tengwar. Tennobet was initially known as the Orokin language. 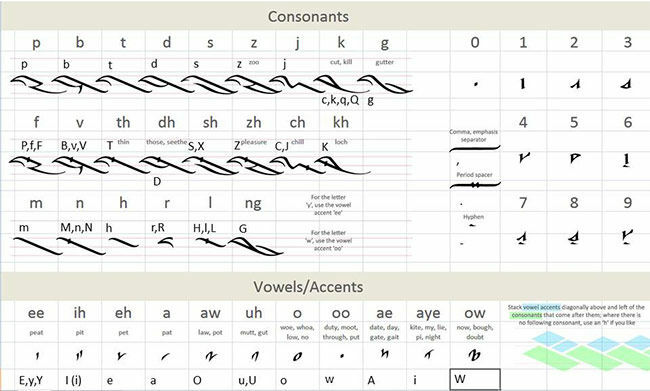 Tennobet shares a number of features with Tengwar. The consonants are written in line, with the vowels appearing as diacritics above the consonants that come after them. Multiple vowels can be stacked diagonally, one on top of the other. If there are vowels following the last letter of a word, they can be stacked in free space, or optionally written over a silent h. The writing pattern is in diagonal cells, so there is a flowy pattern to the writing. There are more consonants and vowels than there are in the English language, so this is not a straight substitution. Like Tengwar, learning to use this language requires some basic understanding of phonetics. Also, it is meant to be written using a broad nib fountain pen. 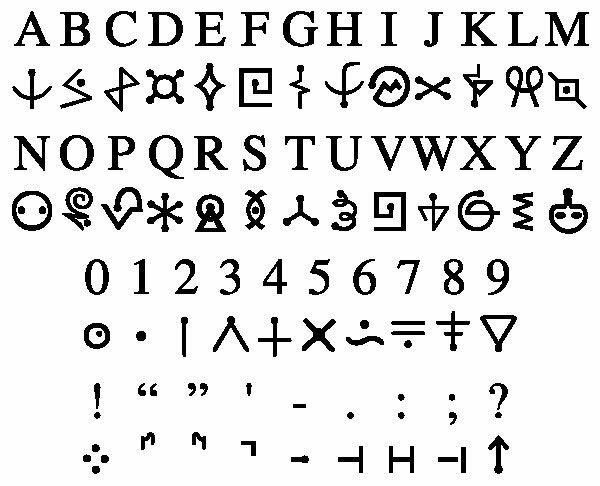 This is a complete and usable script, as there are punctuation marks, as well as glyphs for all the numbers. While not absolutely necessary, this script really shines when written with a calligraphic pen. You can find the necessary resources at The Tennobet Blog, and there is a course available on Memrise as well.